Buddha, the awakened one taught the beauty of generosity and the bliss of renunciation; the need for unity, simplicity and equality; the message of peace, compassion, wisdom and devotion and the need of the humanitarian services. Considering his great teachings, Buddhism is more in need and relevant today in this turbulant world than ever before in the history of mankind. Buddha, who was once a prince known by the name of Siddhartha Gautam lived in circa 543-623 B.C. on the foothills of the Himalayan Mountains in a country which is now Nepal. 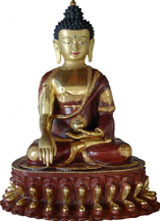 He was the descendent of a Shakya family of Kings and popularly known as Shakyamuni Buddha. Nepal being the birthplace of Lord Shakyamuni Buddha, is the center of the entire Buddhists in the world and also the center of 'Zone of Peace' for the world peace lovers. Even though Nepal is such a great land, there has been in the past and also at the present, various disturbances and problem faced by the Buddhists. In the history, Buddhists have faced political, educational, social and religious disturbances. Many valuable books on Buddhism and viharas were destroyed and the followers including the monks were targeted for assault. As a result, Buddhists are still without a proper Buddhist Center in Nepal. Until now, young monks and nuns went abroad to the countries like Sri Lanka, Myanmar, Thailand, Korea and Japan for higher studies in Buddhism. 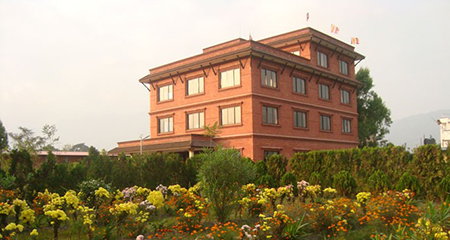 Consequently, it is of great importance to have a resource center with proper infrastructure to boost the educational, spiritual, social and religious values of the poor Buddhists living in Nepal itself. Therefore, as Nepalese monks, we propose this Buddha Bhumi Buddhist Center project for the welfare of the Buddhist people in Nepal and the world as a whole.